Alice Waltham Alice has a BSc (Hons) in Physics and eight years’ wide-ranging experience of the renewable energy industry, energy markets, policy, regulation and economics. She has recently joined the Edinburgh office of the ÅF Group. Her work on smart grids includes advising Scottish Enterprise on the global market opportunities and economic potential of smart grid technology. She has also advised the UK government on the economics of grid connection of renewable energy, is a member of the Scottish Renewables grid group and led an international IEA Renewable Energy Technology Deployment (RETD) funded study identifying best practice for integrating variable generation sources into electricity networks. Alice’s wider consultancy experience has included evaluating the expected economic performance of energy projects, regulatory advice and economic impact assessments. She has worked with national and regional agencies on strategies to increase renewable energy deployment in the UK, Bulgaria and the European Energy Community. She has also advised developers on the economics of individual sustainable energy projects. 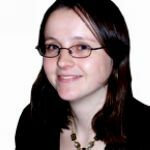 Before becomning a consultant, Alice worked for a renewable electricity supplier, Good Energy. There she participated in a wide variety of activities in the compliance, retail, trading and generation parts of the business.